An exquisite example of a rare Dachl case style. With its single-piece dial, engine-turned bezel, month duration with maintaining power, heavy brass-backed bob, this lovely clock ticks all the desirable characteristics for an early Dachl! 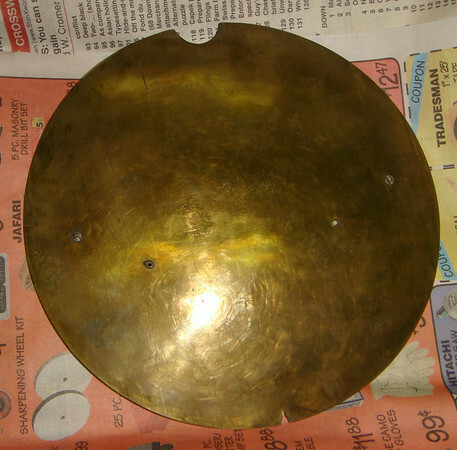 This is the back of the pendulum bob - front is perfect, back shows the makers hammer marks. Plus the bob is very heavy - making for a more precision time-piece.